Reflexology Charts: Hand, Foot & Ear Reflexology Chart Tips! Hand, Foot & Ear Reflexology Chart Tips! about reflex zones, meridians & dermatomes! The general purpose of 'reflex zone therapy' (a.k.a. reflexology) is to 'balance' the nervous system. Reflexologists usually use an approach where the body is divided into ten equal vertical zones: five zones on the right side of the body + five zones on the left side of the body (e.g. the first zone corresponds with the thumb in the hand and the big toe in the foot). This vertical approach goes parallel to Chinese philosophy of the meridians & the medical so-called 'dermatomes' (= areas of skin that are mainly supplied by a single spinal nerve); However, there is no direct connection between the 10 vertical reflex zones and 12 meridians, nor do these concepts directly relate to the physical nerve system. This implicates that in general hand reflexology & foot reflexology can be recognized to represent massage techniques that are quite similar to the reflex points & techniques used in acupressure (and the philosophy behind acupuncture). The word reflexology is derived from the so-called 'reflex arc', which refers to a neural pathway that controls an action reflex. Formally, there are two types of reflex arc: 'autonomic reflex arc' (affecting inner organs) and 'somatic reflex arc' (affecting muscles); reflexology can be associated with the first type. This implicates that (hand) reflexology should not be associated with casual uses of the terms: 'reflex', 'hand reflex' and 'primitive reflexes'. Unfortunately, there is no consensus among hand reflexologists about how reflexology exactly is supposed to work. For example: in many hand reflexology charts the heart is located at the radial side of the hand card (sometimes it gets associated with the 2nd phalange of the thumb) - which sort of represents the opposite of the principle described by the meridian philosophy. Some reflexologists even claim that the zones in reflexology maps represent only approximates and may vary from person to person. Hand reflexology experts generally work with charts that propose sort of a likewise model for various internal organs & body parts. 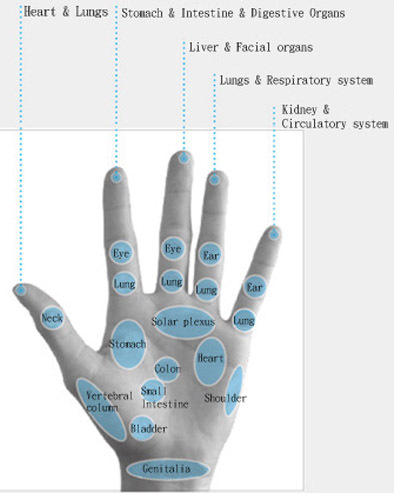 However, most individual reflexology hand charts do show some significant differences compared to other charts. 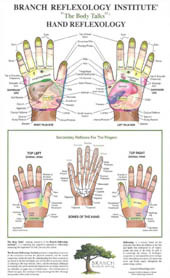 Many reflexology hand charts are available on the internet; charts are being presented in various formats, and many printable reflexology hand charts are available. 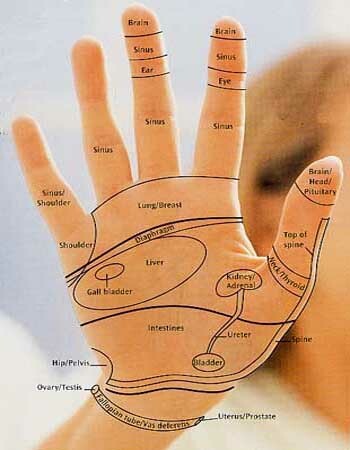 However, for people who are not familiar with the basics of hand reflexology might get confused by the fact that many hand maps display unique characteristics - which often reflect the personal view of the hand map designer. Authors dispute the representative locations in the hand that may get associated with the eyes and the heart, so these aspects belong to the key-elements of disagreement in hand reflexology. In general, in most charts the eyes get associated with one or more sections of the index finger and/or middle finger. 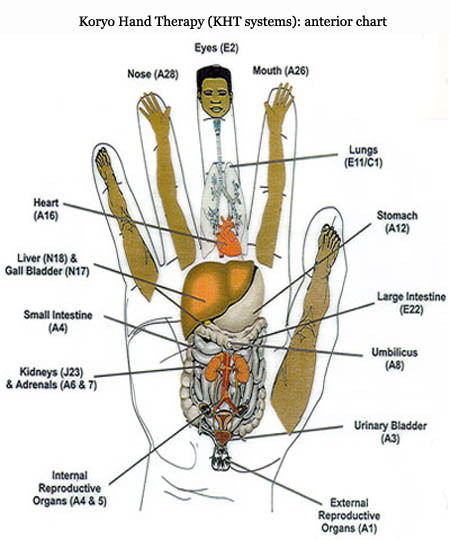 In some Western hands reflexology charts the eyes are associated with the 2nd phalange of the index finger (see chart 1) or the middle finger (see chart 2). But in the Korean 'Koryo hand therapy' charts the eyes are placed on the tip of the middle finger (see chart 3). The fundamentals of hand reflexology are described & discussed inside the section hand reflexology. NOTICE: likewise principles (+ disputes) are found for the feet in foot reflexology, and for the ears in ear reflexology! what are the Major Differences between Hand Reflexology Charts? How come that various charts present different locations for body parts? It is quite hard to answer this question, because usually it is a bit of a mystery how the experts have developed their reflexology models. A hand reflexologist usually claim that hand reflexology represent a system of zones and reflex areas that reflect an image of the body on the hands, with the premise that hand reflexology effects a physical change to the body. 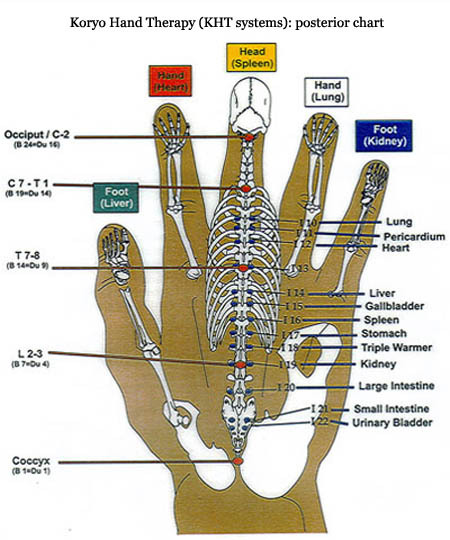 Hand/foot reflexology chart: discover the best acupressure points in the various hand charts. The high resolution examples below represent various reflexology hand cards. NOTICE: the eyes are located more radial than the ears, which makes sense in the following perspective: radial side = inner world, ulnar side = outer world). (5) radial side of distal phalange in pinky finger is associated with the heart meridian. just like in the CMax Acupalm chart & the Breo iPalm520 chart, both are displayed in the tips-section below! the dorsal central axis of the hand (in the other 3 charts the spine is located at the radial side of the thumb). 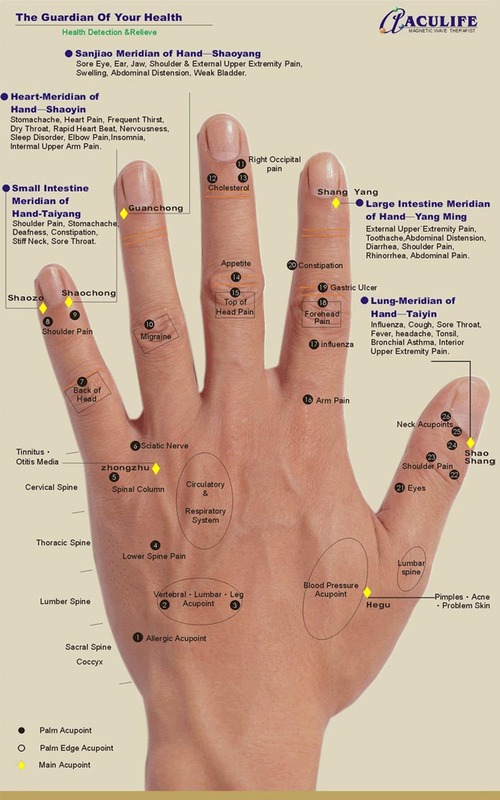 TIPS: More tips & guidelines for hand reflexology charts! 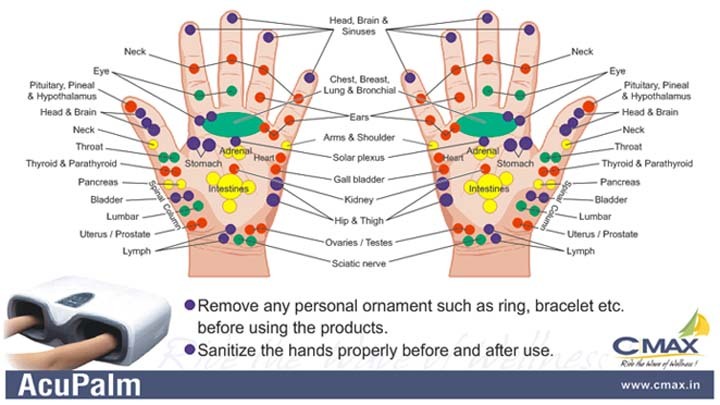 A fascinating application of reflexology is found in some massage technologies such as the C|Max AcuPalm and the iPalm520 Hand Massager (see video on the right): both products are featured with a unique hand reflexology chart - see the charts above! Did you know that the terms hand reflex therapy, hand acupressure, hand massage, shiatsu for the hands & palm therapy represent synonym-like terms for hand reflexology? Various options are available if you are interested to participate in hand reflexology home study courses or classes. And if you're interested in a distance learning course - then you can consult one of the more well known reflexology centers - you might also want to contact an expert in your region in order to experience the reflexology benefits yourself! TIP: Combining hand reflexology points acupressure with aromatherapy (or some other additional relaxation massage therapy) will likely add additional value to the well-being & pleasure or your client! 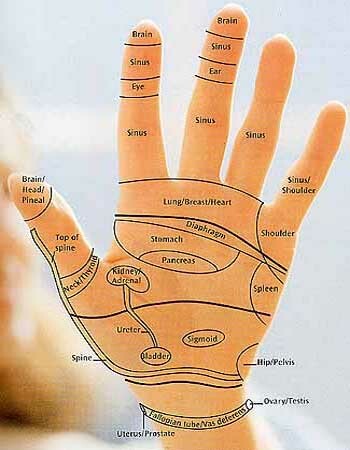 Learn how reflexologists combine reflex points in hand reflexology charts with aromatherapy, acupressure & acupuncture. 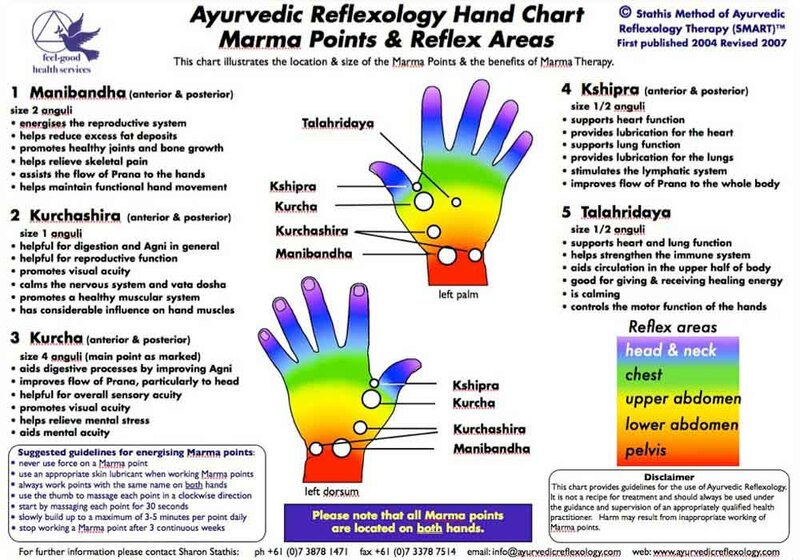 Reflexology chart hands glove. 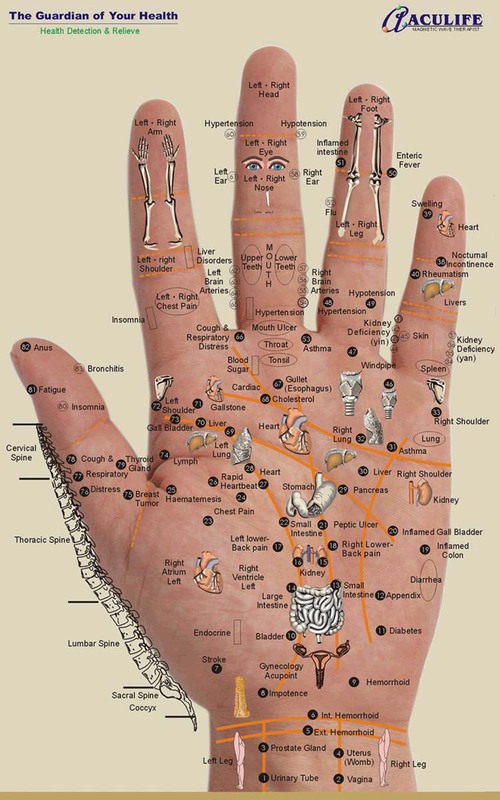 Find a hand reflexology chart for free: reflexology of the hand. 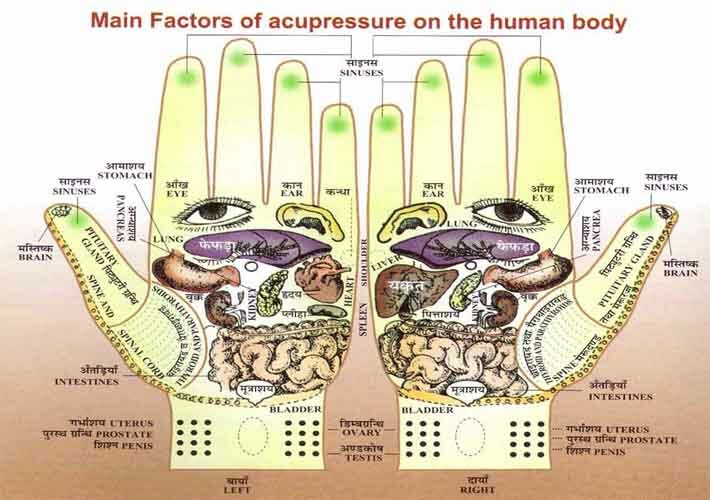 An acupressure chart & acupuncture points. Reflexology chart feet & ear reflexology chart. Discover the benefits of reflexology yourself! How to find a hand reflexology map or a reflexology foot chart. Foot pressure points & a wonderful healing foot massage treatment. Including an interactive chart & diagram. 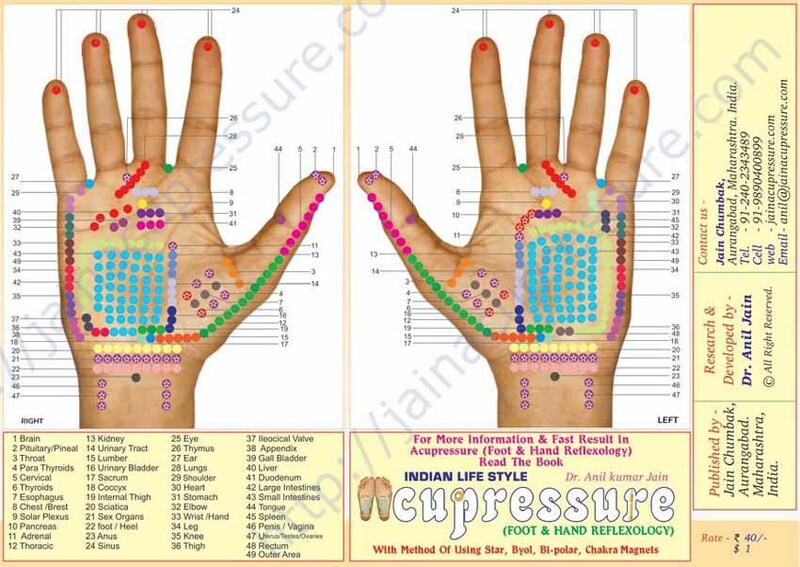 Acupressure points & hand reflexology chart printable, and treatments for headache, constipation, hypertension or pain in hands & feet or ears.